We know packaging isn’t everything – it’s what’s inside that counts, obv – but in this month of leaden skies and bare trees, we’re SO cheered by Tropic’s gorgeously bright and colourful wrappers. And what’s inside is simply fabulous, too. The roots of Tropic stem from founder Susie Ma’s upbringing in tropical north Queensland in Australia. Inspired by the lush vegetation of the region, Susie developed her passion to combine recipes for natural cosmetics with her cruelty-free philosophy.Now comes the bit that surprised us somewhat. Susie so impressed Lord (Alan) Sugar when she pitched Tropic on The Apprentice on 2011 that he invested as her partner. Tropic’s products, now over 100 spanning makeup and skincare with some very tempting gift sets (perfect for presents any time), have garnered an awesome number of awards. 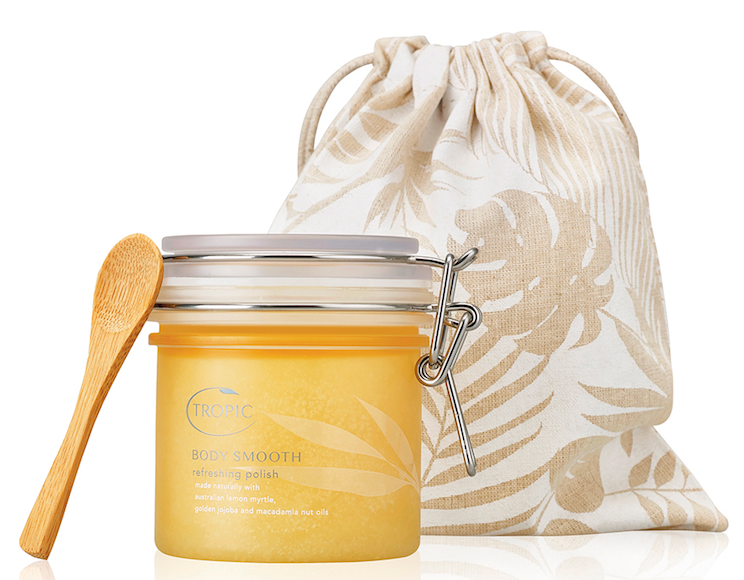 Tropic is available online at www.tropicskincare.com and through more than 8,000 Tropic Ambassadors. SUPER GREENS Nutrient Boost Serum (usually £42 for 30 ml) – a vitamin-rich cocktail for your skin, with extra nutrients to soothe redness and help speed skin repair. BODY SMOOTH Refreshing Polish (£24 for 200 ml) – one of our absolute favourites to buff your bod to smooth, soft lusciousness. With zesty essential oils, it’s a perfect wake-up call. SO SLEEPY PILLOW MIST (£20 for 70 ml) – pop this blend of seven calming essential oils in your sponge bag to help you sleep away from home. Mini TAMANU HEALING BALM (£16 for 20 ml) – this award-winning, multipurpose skin saviour soothes, hydrates and heals, as well as helping with scars, stretch marks and eczema or psoriasis. For a chance of winning, simply fill in the form below. 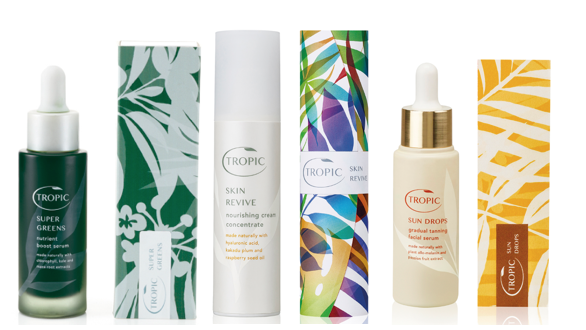 And meanwhile, find Tropic at tropicskincare.com.